Kam’s Roast is finally here in Singapore! 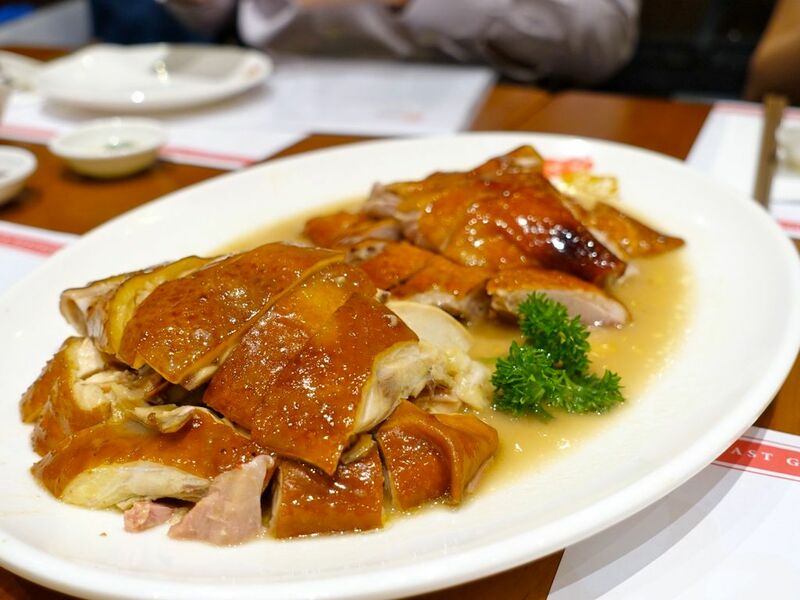 Yes it is THAT one Michelin Star roast meat place from Hong Kong and it has opened in the star studded Pacific Plaza, which also houses Tsuta Ramen and upcoming Tim Ho Wan. The Singapore branch is the brand’s first foray outside of Hong Kong and second in the world and much has gone into ensuring that diners taste the very same as at the HK outfit. 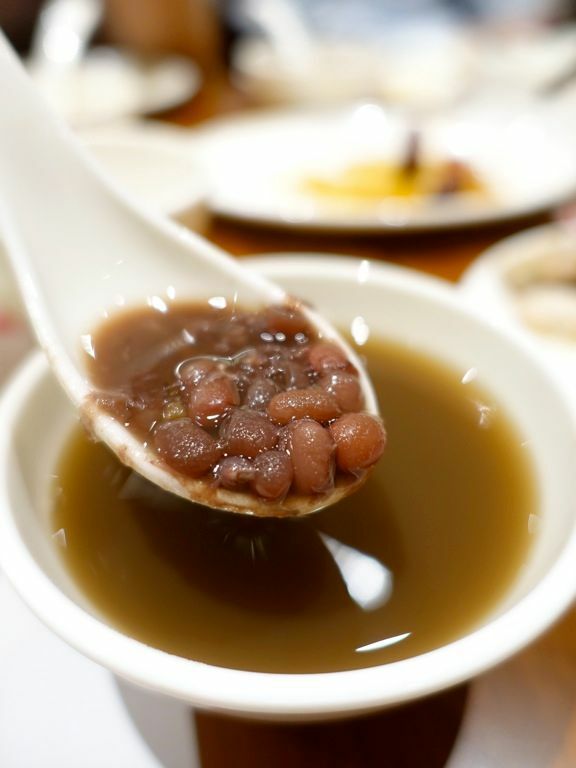 This includes flying down the original roster of HK chefs to ensure the preparation and taste are up to mark. 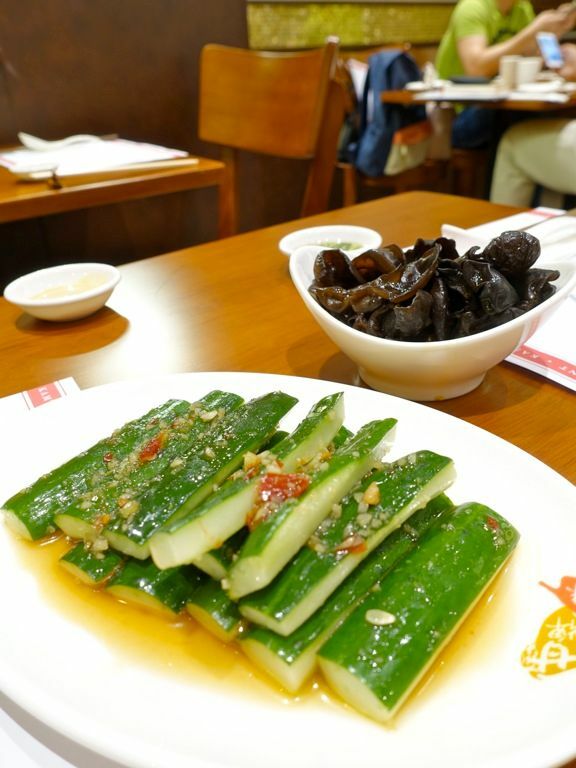 Start your meal with sides of Marinated Cucumber with Vinegar & Garlic ($6.80) and Marinated Black Fungus with Vinegar ($6.80). Both are refreshing options, with the latter providing more kick with some fragrant chili oil. Meats are the highlights of course. 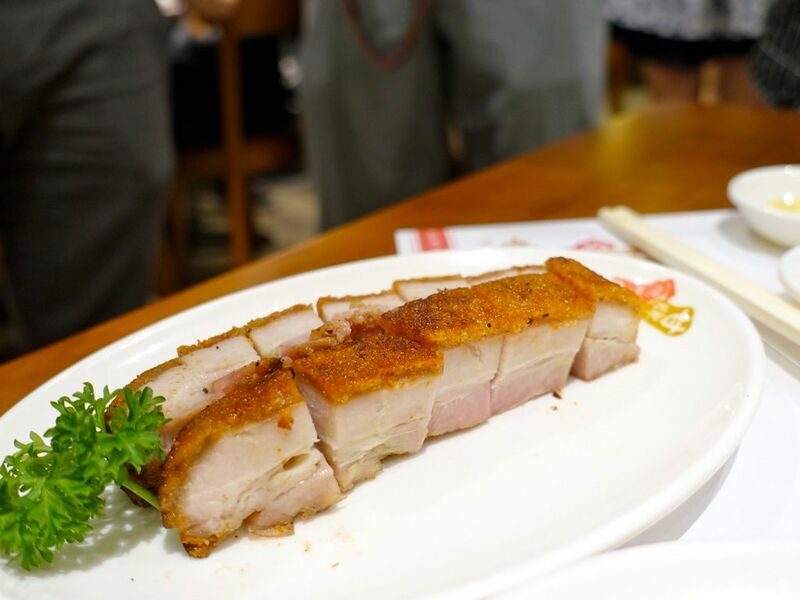 We also enjoyed the firm Crispy Roast Pork ($14.80/portion) with lovely skin that is of just the right amount of crunch. I liked that each piece wasn't overly fatty and i didn't see the need or want to remove any fats. Plus they provided a nice buttery texture to each bite. I set a high standard for roast duck. 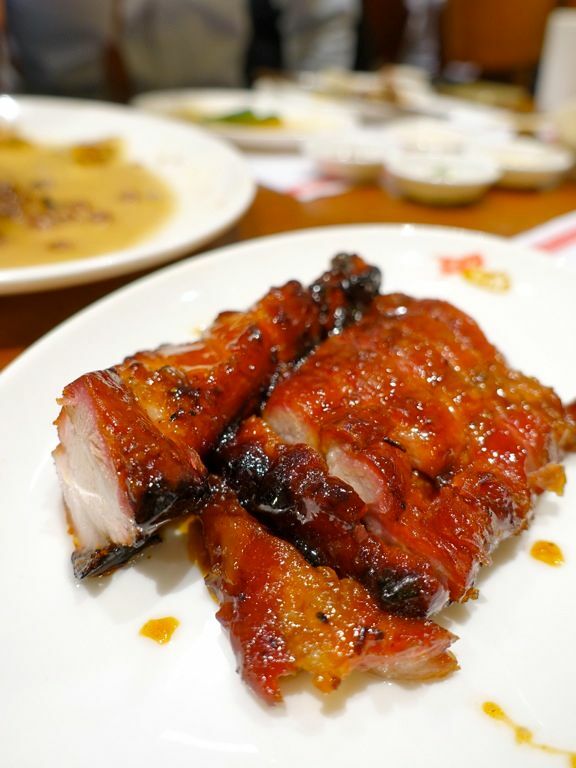 The skin has to be thin and crispy (like that of Peking Duck) with a thin layer of rendered fats, and flavorful smoky meat under the golden exterior. 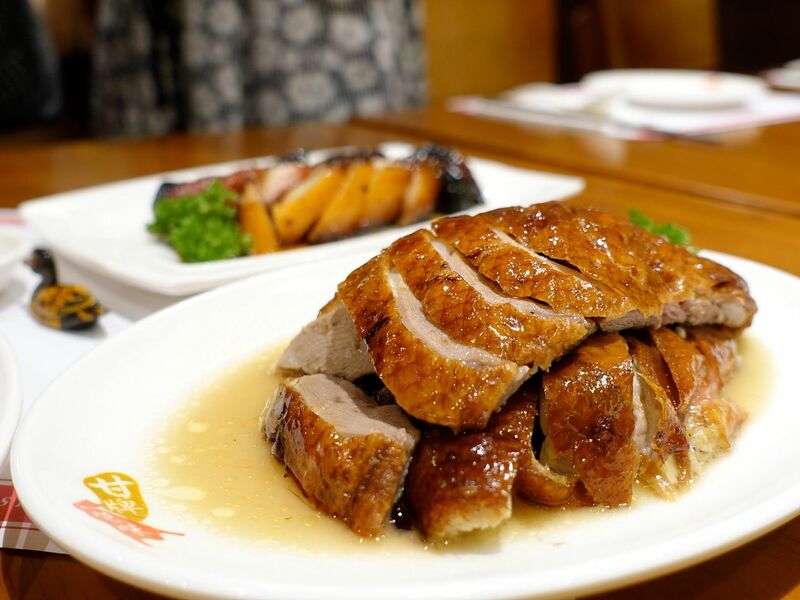 Well.. Kam's Roast Duck ($55/duck) is typical HK restaurant standard. The meat was a tad bland for us but THAT GRAVY THOUGH! Make sure you order a bowl of fragrant fluffy rice to soak up all that special sauce. Hell we could just make a meal out of that gravy and rice. Sadly, no famous roast goose for now but they're working hard to bring some over! If you like skin, there's also the Suckling Pig ($34.80/portion, $148 for half, $248 for whole pig). The crackling was thin and crispy (but cold). We didn't get a chance to sample the meat though so try it and let us know! 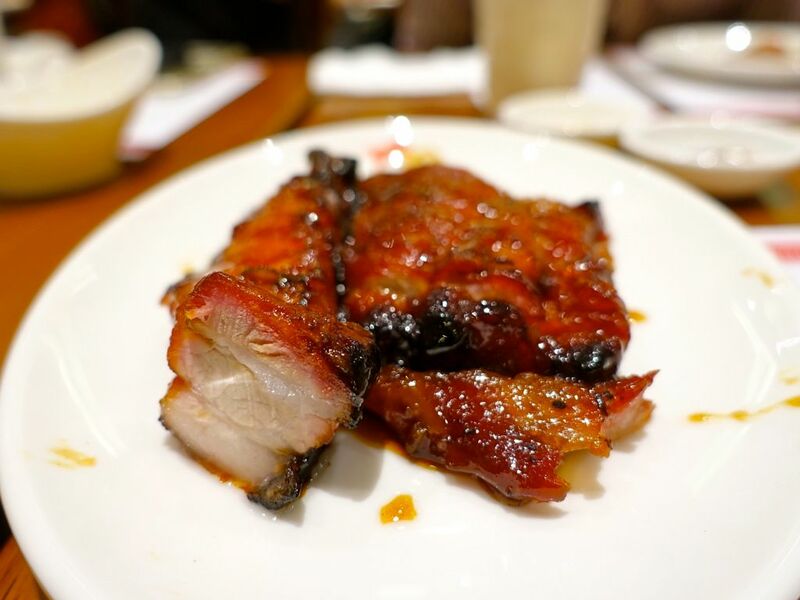 My current obsession is Char Siew and the special ‘Toro’ Char Siu ($22.80) made with premium pork belly satisfies with the Kam family's award winning marinade, though i found myself wishing for more char! The secret recipe is by Mr Kinsen Kam, who was once the second-generation owner at the famed Yung Kee. I enjoyed perfect layers of alternating tender lean meat and fat though Jr thought it was a little too fatty (he prefers Canton Paradise's). You can see the layers of fats better here! There's also the regular char siew ($14.80) which is less fatty but the one we had was too dry though some other pictures/videos that we saw were a lot juicier. Teething problems we say, hopefully resolved soon. If you prefer noodles instead of that glorious rice with gravy, you are in luck. Kam’s Roast legendary Wonton Noodles, same as the one Mr Kinsen Kam served in Yung Kee, is available here. 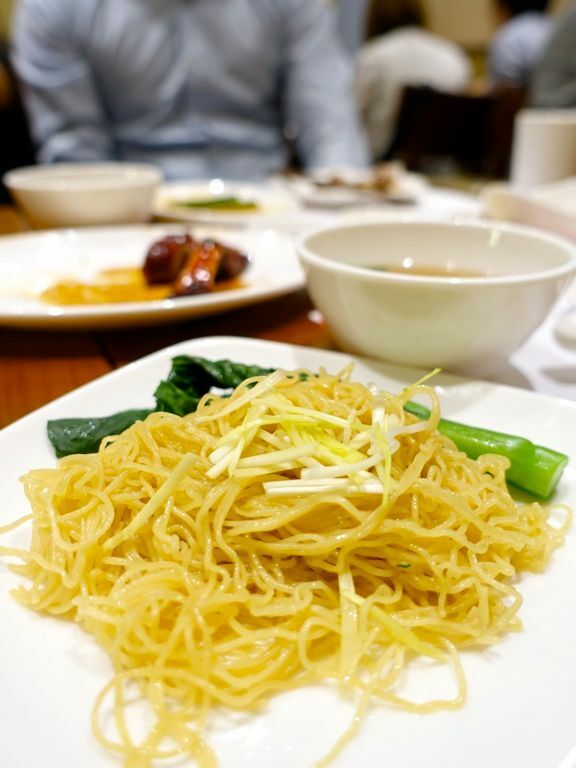 These noodles are air flown from Hong Kong daily on Singapore Airlines and the logistical operations are handled by Kerry Logistics. Absolute freshness guaranteed! Toppings include fresh, handmade goldfish-shaped wontons filled with prawn and pork fillings and slices of Kam’s famous roasts. We had the Braised noodle with ginger scallion ($6.80) is served al dente with a light bouncy bite. I liked that the alkaline taste isn't too strong. Save your space for desserts elsewhere. The diluted Red Bean Soup with aged orange peel ($5.80) isn't quite worth your calories and bucks. Overall, Kam's Roast is a decent HK roast meat place in the Orchard area. They will open their doors tomorrow 19th November at 1pm. Takeaways are already available now so get your fix before the queue gets too long.